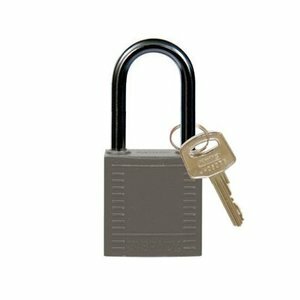 Aluminium padlock grey with (4.70mm) NANO Protect steel shackle. 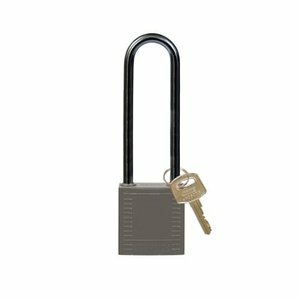 Key system: Keyed different, keyed alike or master keyed on request. 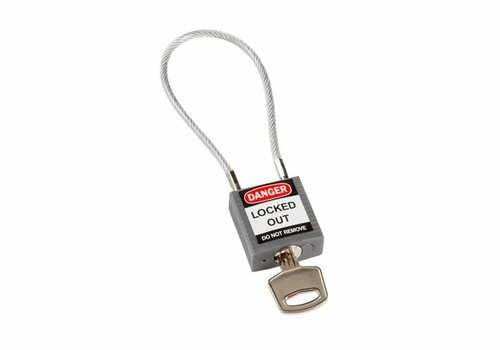 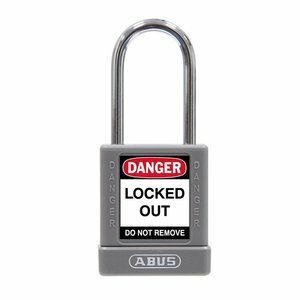 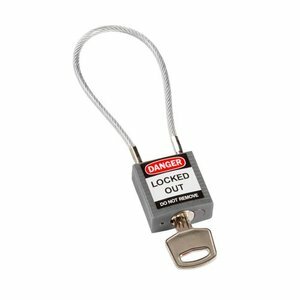 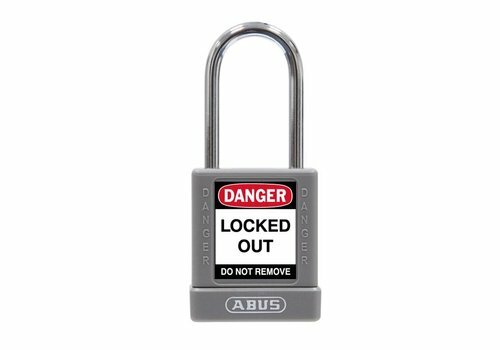 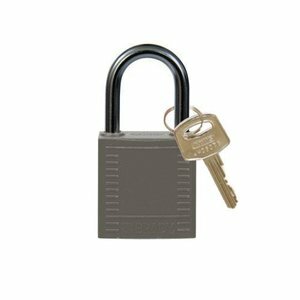 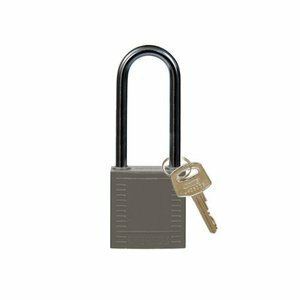 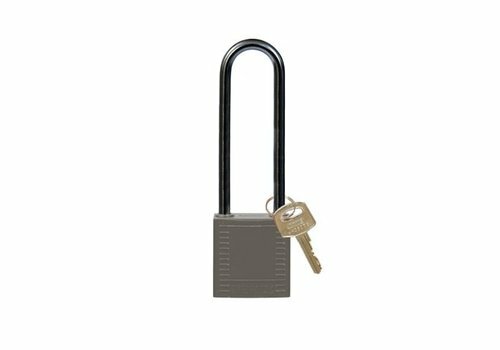 Nylon compact safety padlock gray with a (ø 4,70mm, H 75mm) aluminum shackle and key retaining function. 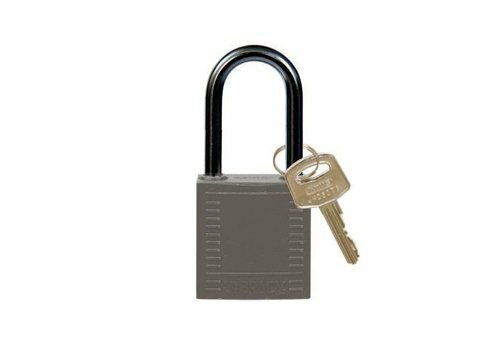 Nylon compact safety padlock gray with a (ø 4,70mm, H 50mm) aluminum shackle and key retaining function. 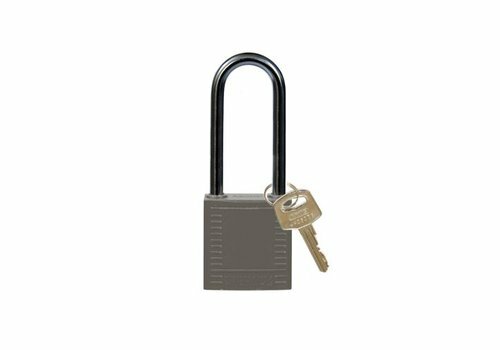 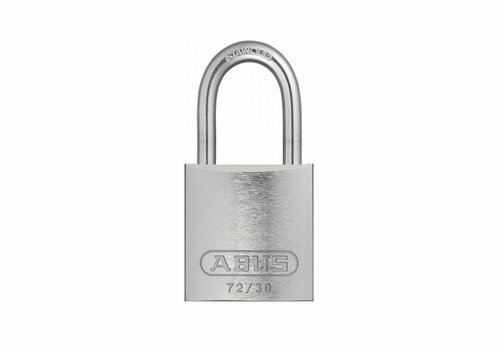 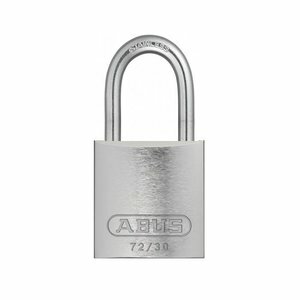 Nylon compact safety padlock grey with a (ø 4.70mm) aluminum shackle and key retaining function. 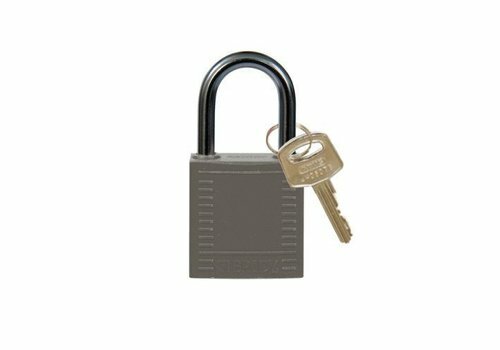 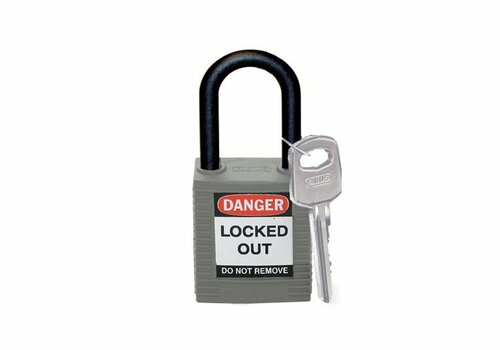 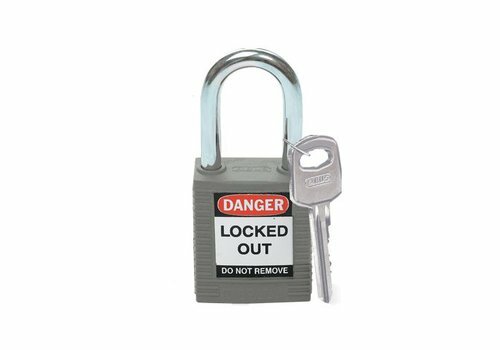 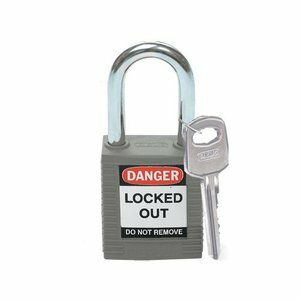 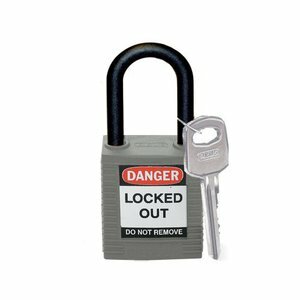 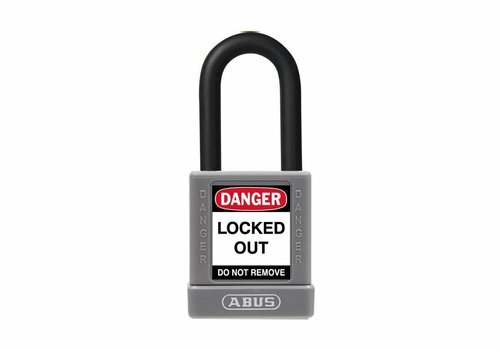 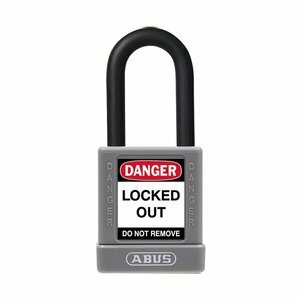 Nylon compact safety padlock grey with a (ø 4.70mm) short aluminum shackle and key retaining function.